As part of its strategy to support colleges in developing opportunities for young people to engage in social action, SFCA made a pledge to the #iwill campaign: http://www.iwill.org.uk/pledge/sixth-form-colleges-association/. #iwill is a UK-wide campaign that aims to make social action part of life for as many 10 to 20 year-olds as possible by the year 2020. Through collaboration and partnership it is spreading the word about the benefits of youth social action, working to embed it in the journey of young people and create fresh opportunities for participation. The campaign is being coordinated by the charity Step Up To Serve, governed by an independent board and has cross-party support. Raising awareness about poor numeracy levels which exist in the UK, how numeracy differs from mathematics, and the promoting the recognition that everyone can improve through campaigns such as National Numeracy Day. Improving numeracy. We’ve helped over 130,000 so far people to check whether they have the ‘Essentials of Numeracy’, and are helping them to achieve them if they don’t. Improving communication of numbers and data by helping organisations to use a ‘Plain Numbers’ approach, so that anyone can understand their information regardless of their numeracy level. 1 in every 2 working-age adults in the UK struggles with using numbers. Many of us are just getting by when we could be getting ahead: earning more, saving more and doing the things we love better. Just by getting a bit of help with our numbers. That’s what National Numeracy Day 2018 is all about. Recognising the important part numbers play in everyday life and helping people sharpen their skills and build their confidence so they can use numbers to help them save money, progress at work – or just manage everyday situations more easily. Being better with numbers isn’t a special talent, it’s something we can all learn. We’re all numbers people. Find out how you can make numbers work for you and check your skills now at www.nnchallenge.org.uk Too many people accept their current abilities, not realising that they can change. But everyone can improve and get the Essentials of Numeracy – the skills needed to use numbers and data at home and at work. Anyone can check if they have the Essentials of Numeracy using the free online assessment tool, the National Numeracy Challenge www.nnchallenge.org.uk It also directs people to a range of resources to help them improve. Anyone can take the Challenge at any time. Three quarters of people who have assessed their skills, used some learning resources and then reassessed, have improved. If you achieve a score of 80 then you have the Essentials of Numeracy and can claim a digital badge and certificate. National Numeracy Day is run by the UK charity National Numeracy. The first National Numeracy Day is on 16 May 2018 and has been created with Founding Supporter KPMG, with additional support from an impressive and growing list of organisations. Voting is a basic right in a democracy. Participation in free elections is a fundamental human right (protected in the Universal Declaration of Human Rights and the UK’s Human Rights Act). The reasons for excluding people from the vote therefore have to be fair and balanced. As many 16 and 17-year-olds are contributing to the taxation system, the principle stands that they should be entitled to vote as a fundamental right. The current system is “taxation without representation”. 16 and 17-year-olds hold many responsibilities in our society, and extending the franchise would engage them in the political affairs, current events, and the democratic processes that impact their lives. Fair.Vote (Votes at 16) would encourage young people to understand the society they live in, influence key decisions that affect them, and ensure youth issues are represented. Young people need to be encouraged to take part in democracy, not locked out of it. Having learnt the principles in compulsory citizenship education 16 and 17-year-olds are ready to participate in civic life, shown by the huge numbers of young people already active in local youth councils, youth parliament, or student unions. Fair.Vote (Votes at 16) would inspire more young people to play an active role in our society. Apathy among young people has always been a myth and the recent election has shattered that illusion for good. Students are not apathetic: they care about rising debt, diminishing access to education, and inequality in our society that makes them the first generation in years to be statistically worse off than their parents. The result of the general election in 2017 showed that thousands of young people were willing to engage with politics, many for the very first time. There were, however, 1.5 million 16 and 17-year-olds who did not receive this opportunity. Becoming a Social Mobility Pledge accredited employer demonstrates your commitment to accessing and progressing talent from all backgrounds, and highlights your work towards improving social mobility. 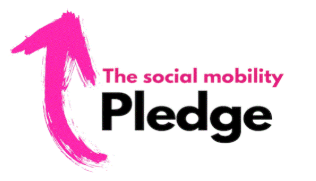 The aim of the Social Mobility Pledge is to encourage business to play their crucial role in boosting social mobility in the UK and highlight which businesses and employers are going the extra mile. Just five elite schools sent more pupils to Oxford and Cambridge universities than nearly 2,000 schools, which make up two thirds of the entire state secondary school sector. National Citizen Service (NCS) is more than just a youth programme — we are a family of hundreds of grassroots organisations, each with their own unique expertise and ability to inspire young people on their NCS journey. As such, NCS has a positive local impact in communities right across the country. In addition to our delivery partners, we work collaboratively with many inspiring organisations who have a crucial role to play in delivering quality content for young people. Together, we’re committed to building a national institution, a rite of passage that can transform young lives and their communities - one NCS graduate at a time.